Long gone are the days when shops were only about selling. Faced with more challenges than ever before, retail stores have had to diversify to survive. With an ever-growing number of pop-ups, concept stores, retail and exhibition design and brand activations hitting the high street every day, the boundaries of brick-and-mortar are constantly shifting. In this article, we take a look at some of the ways brands are using their retail space as a platform to educate, learn, excite and impress. When people discuss the state of the high street, they often refer to the loss of community. But there are some retailers hoping to buck that trend and put people back at the heart of their stores. Bonds. Is one of them. 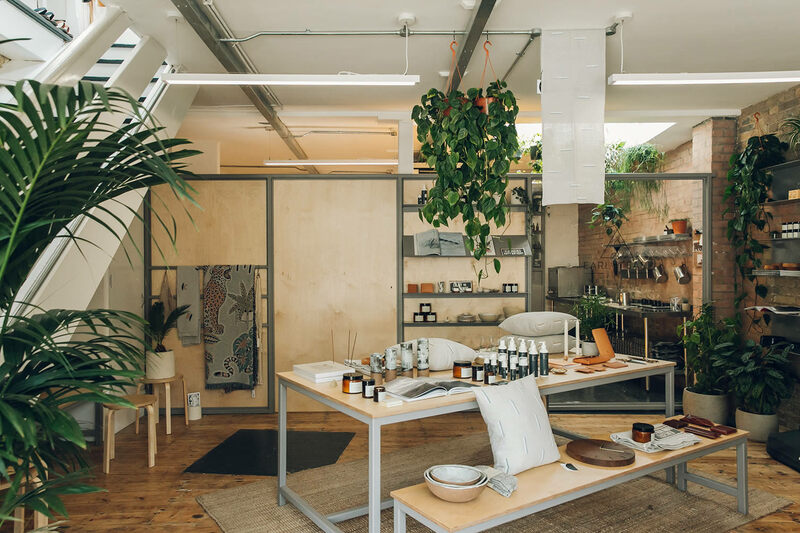 Both a homeware shop and a community space, the multi-concept store serves up workshops and events, as well as “coffee and conversation to a growing tribe of locals”. This move towards ‘hyper-local’ stores grounded in the community has grabbed the attention of big brands too. Uniqlo was one of the first to experiment with “localised” stores back in 2016, when they unveiled their newly refurbished flagship store on Oxford Street. Rather than rolling out a standardised retail architecture, the space featured products made by local businesses, and doubled as a stage to host cultural events. Described as “New York’s cooled concept store”, STORY is leading the way in fusing experience, community, and mass customisation with brick-and-mortar retail. “We are barely scratching the surface, and while bricks-and-mortar is often referred to as dying, I think it will only give way to a new frontier with endless and untapped potential,” says founder Rachel Shechtman. By curating its collection around a lifestyle theme, STORY creates community-focused retail experiences with stories at their heart. In London, yoga-inspired apparel brand Lululemon is also exploring the idea that their stores can nurture the lifestyle that they sell. 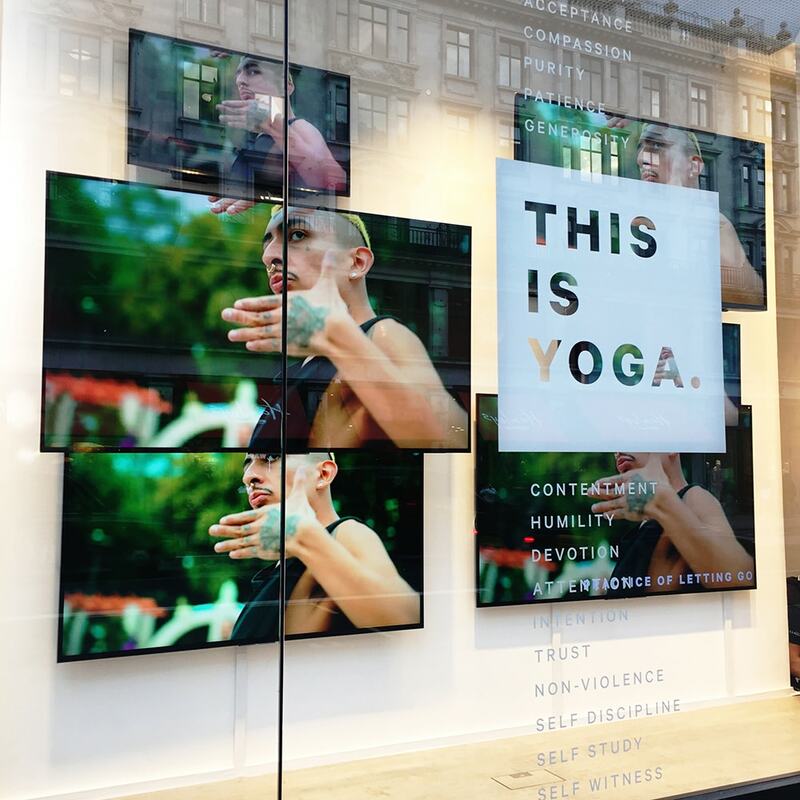 Offering free yoga classes and workshops, the brand has inspired other retailers to explore the potential offered by their physical stores. Exhibitions have long been an integral part of luxury retail stores. At JUSTSO, we’ve helped brands like Harrods, Chanel and Bvlgari create retail and exhibition design that tells stories, engages new customers, and drives footfall. And as retailers push for new ways to use their physical space, we’re seeing more and more brands seek to bring culture into their stores. 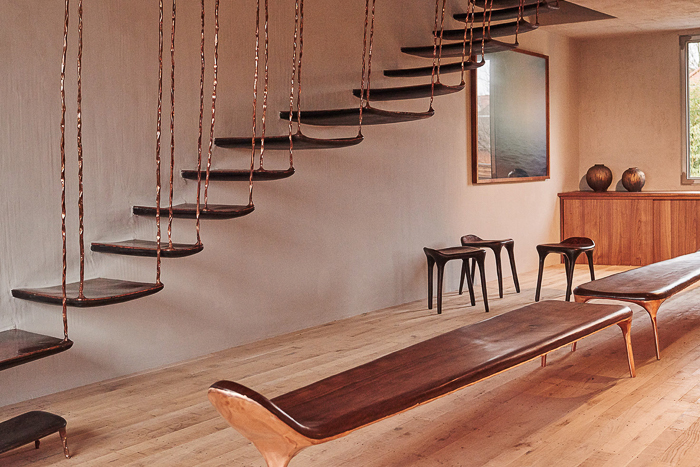 Take Blue Mountain School in Shoreditch. Spread over six-floors, the enterprise seeks to turn shopping into a cultural experience. With a dedicated exhibition space on one floor, a showroom on another, and a restaurant on the top, it explores the boundaries of physical retail. In 2019, brick-and-mortar stores need to do more than sell. Those brands that are thriving both online and off, are experimenting with their retail and exhibition design. By bringing community, culture and lifestyle into the heart of their stores, they’re creating hubs for conversation and connection. It is, as STORY’s Rachel Shechtman describes, “a new frontier” in retail. JUSTSO is an award-winning creative design agency. Established in 2007, by Stuart Henry, whom brings over 20 years of experience specialising in the luxury, events and retail sectors.